Cue up the band! This shoe deserves a grand reception. 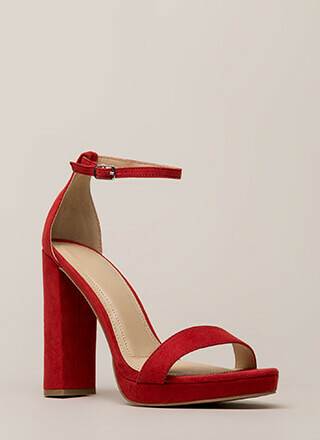 Chunky, open-toe, vegan suede heels feature five skinny laddered straps, a ridged sole, and a rear zipper for easy on and off.